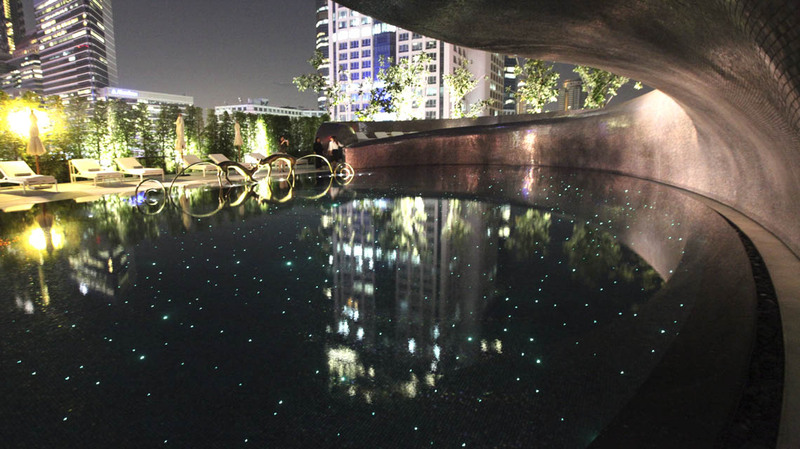 The W Bangkok, located in the city’s prestigious Embassy Row and commercial district, is a stylish icon of Asian chic. 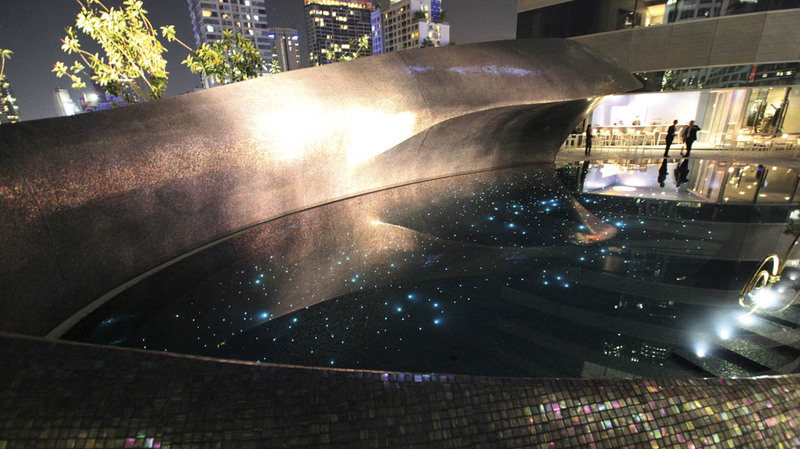 For the rooftop swimming pool, designer Atch Kosiyabong from Chingchai & Sons Engineering has created an impressive starfield embedded in the pool floor. The pulsating stars have become a focal point of the hotel and endowed the terrace with irresistible attraction for guests and visitors.